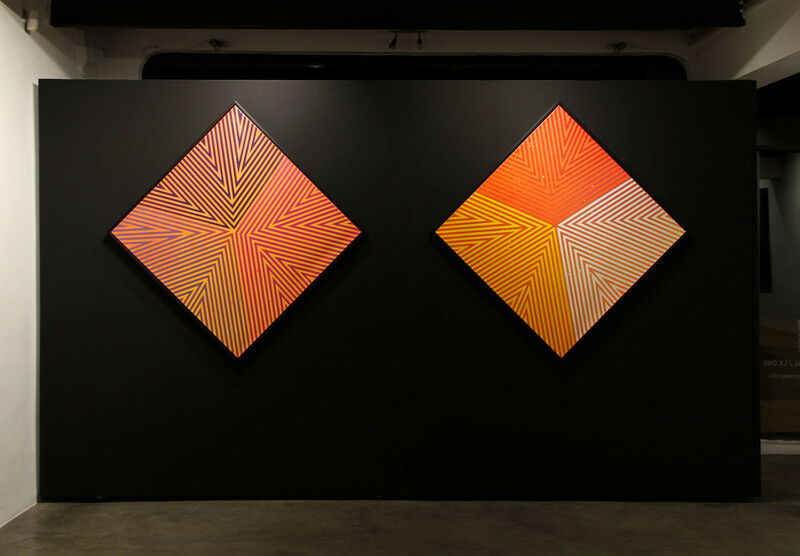 Cycle SENSITIVE EYE – Duo Show Arthur Dorval / LXONE – SEPTEMBER 14 > OCTOBER 15 2018. 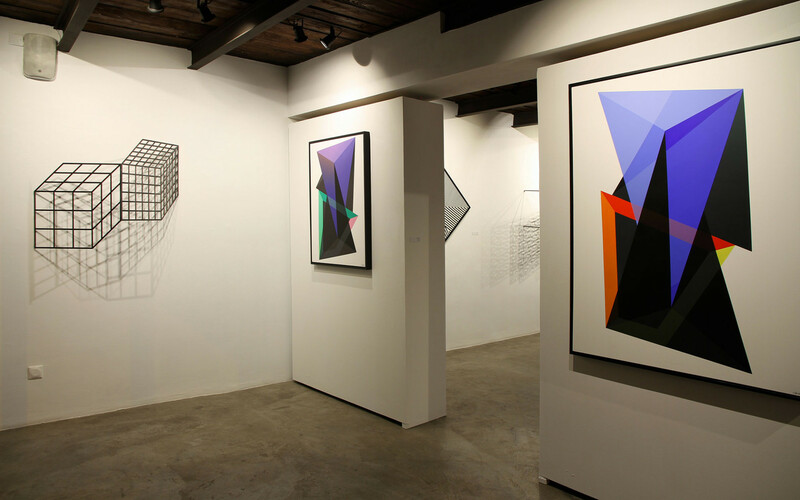 Initiated in 2014 and as a nod to the exhibition “Responsive eye” curated at the MOMA in 1965, the “Sensitive Eye” program is a serie of personal exhibitions with a focus on David Bloch Gallery’ s key themes, ranging from optical art to geometric abstraction and playing on our visual perception. Arthur Dorval was born in 1987. He lives and works in Lisbon. Arthur Dorval is a prominent French painter. 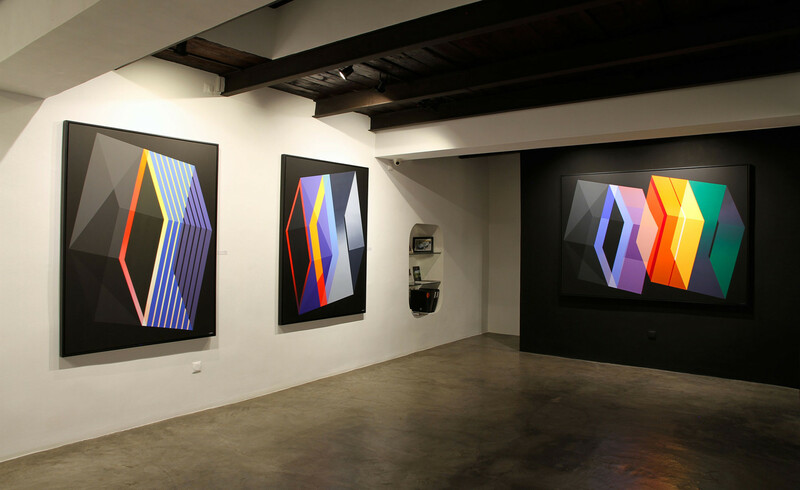 His take on geometric images is what made him famous worldwide, and he is one of the most promising young artists in France. Dorval showed an early interest in drawing, having accompanied his gallerist father on visits to museums, galleries, and artists’ workshops. He began his academic training at Saint-Luc Toumai, where he majored in Illustration, and subsequently studied Design at La Cambre in Brussels. 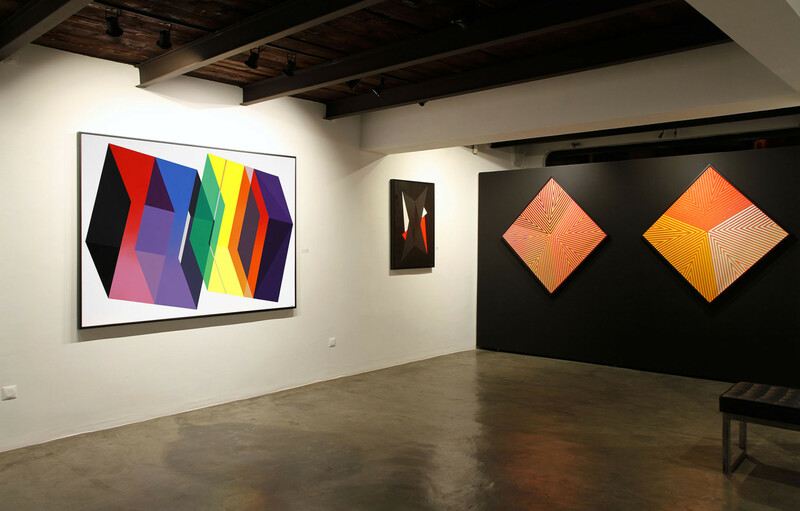 Dorval is a part of the pure Geometric Abstraction movement, alongside such artists as Alberto Magnelli, Auguste Herbin and Victor Vasarely. The movement was started at the beginning of the 20th century, but has since evolved, a fact that is evident in the work of Dorval. The play of shapes and colors gives his pieces movement and vibrancy, making them seem more as architectural feats than paintings. It is his signature work on color, as well, that gives a feel of full color or transparency characteristic of his work. LXONE is a French artist, born in 1979 in Strasbourg, today based near Biarritz, France. LX ONE explores the pixel, the smallest unit, as a means of searching the base of the form, the skeletons of colors. He works on the melody of geometry: the sound of forms, a system of tensions in free space, which responds to architecture, urbanism and design. Inspired by Piet Mondrian and Vasarely, LX ONE depicts only the absolutes of life: vertical and horizontal lines. 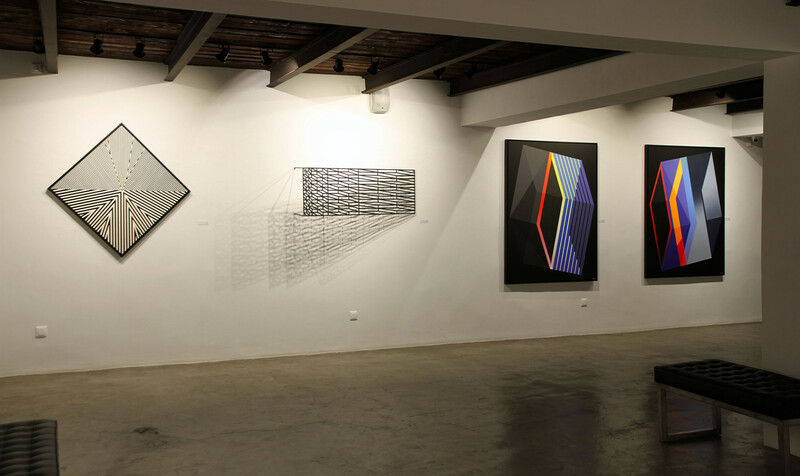 In accordance with the tradition of graffiti, he gives us a three dimensional illusion which confuses and attacks the vision, with cellular structures, axonometric cubes, unassignable volumes and the ambiguity of the form itself. 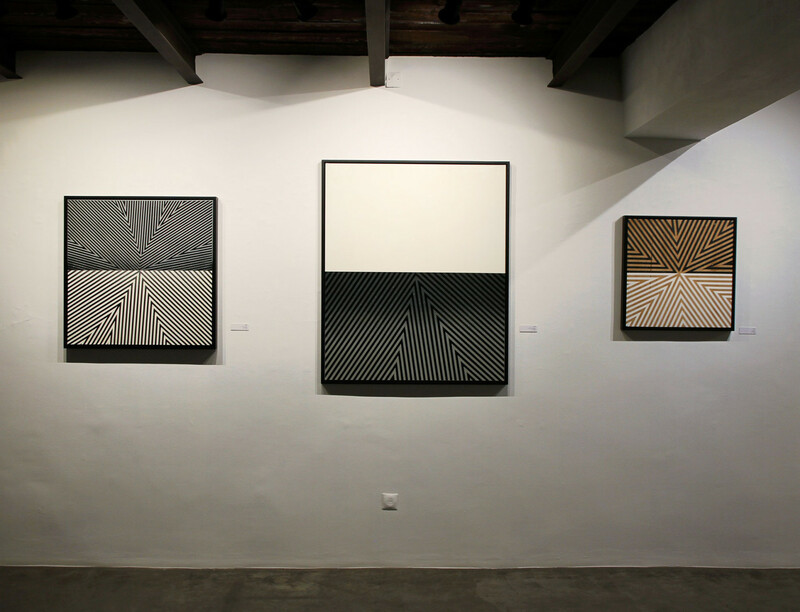 LXONE’s works are geometrical and minimalistic. 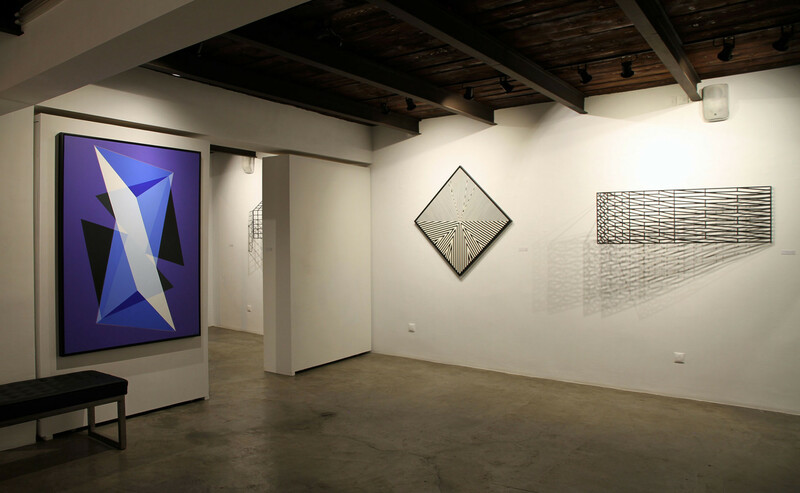 The shapes seem isometrical or as they were pixelated, playing with space, abstract forms, colors and materials. 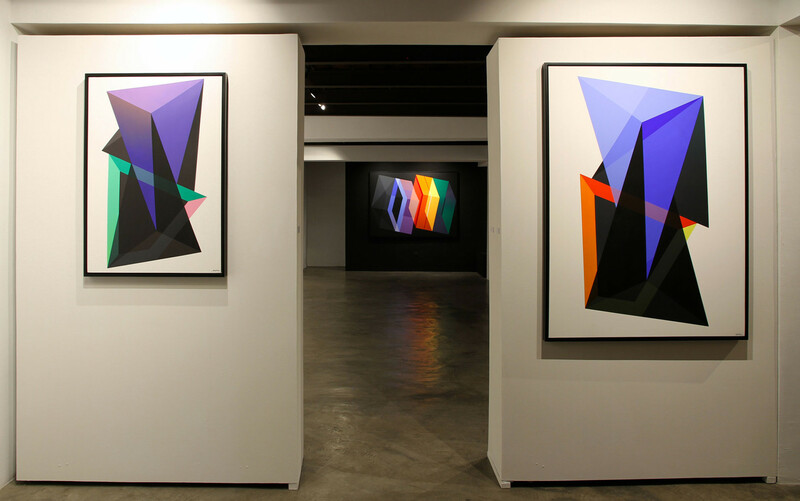 By manipulating perspective and perception, he draws the viewer into his work, observing volumes, shapes and shadows.